Some of the biggest blockbusters have been inspired by beloved books — HARRY POTTER, THE HUNGER GAMES, countless Disney classics. While some remain true to their written-word counterparts, others veer off the page to find fresh new angles. This February and March will usher in a mix of both types of films. Check out these six titles based on novels and get your tickets today. 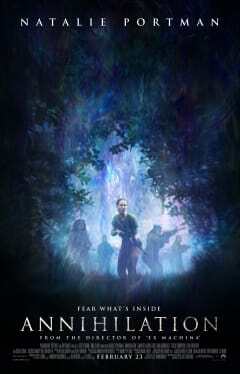 The film’s plot centers on an all-female team of scientists, led by biologist and military veteran Lena (Natalie Portman; in the book, the characters are only referred to by their specialties). After her husband (Oscar Isaac) returns from a scientific exhibition into an environmental disaster zone, alone and nearly dead, Lena is determined to uncover the mysteries behind “the Shimmer,” which is dangerously expanding. With her team — Gina Rodriguez, Tessa Thompson, Tuva Novotny — she infiltrates the zone to try and discover a way to save his life. 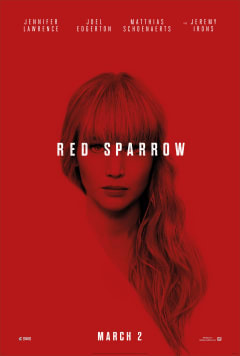 Based on the New York Times bestseller from veteran CIA officer Jason Matthews, RED SPARROW is a seductive, deceptive, deadly spy thriller starring Jennifer Lawrence and Joel Edgerton. The film adaptation, directed by Francis Lawrence (the last three HUNGER GAMES), remains true to the novel’s storyline: In modern Russia, Dominika Egorova is recruited to “Sparrow School,” a secret intelligence service that (torturously) trains exceptional young people like her to use their bodies and minds as weapons. She is assigned to siphon out information from Nathaniel Nash, an American CIA agent with ties to a traitor within the Russian government — but her first mission, and the security of both nations, is compromised as the two become closer. You may recognize this title from Madeleine L'Engle's 1962 novel of the same name — a mainstay of middle school English curricula. The story follows a young girl (played by Storm Reid) who teams up with her brother, a classmate and three mystical beings to travel across the universe in hopes of rescuing her father from some sort of evil. The Disney live adaptation is directed by Ava DuVernay (Oscar-nominated SELMA) and is a major milestone for women — more specifically, African American women. A WRINKLE IN TIME will make DuVernay the fourth woman to solo-direct a movie with a budget over $100 million and the first African American woman ever to do so. 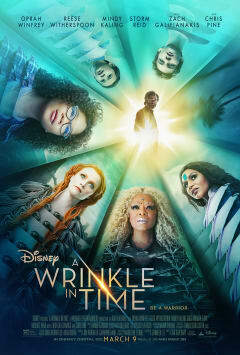 Featuring an all-star cast including Oprah Winfrey, Reese Witherspoon, Mindy Kaling and Chris Pine, A WRINKLE IN TIME, at its heart, is an empowering message of becoming the light in a world of darkness. 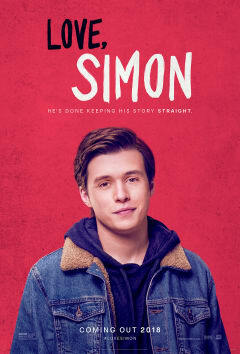 Seventeen-year-old Simon Spier is your typical, love-struck teenager — except he’s yet to tell his family or friends he’s gay and he doesn’t actually know the identity of the anonymous classmate he’s fallen for online. Jennifer Garner, Josh Duhamel and Tony Hale star; Greg Berlanti — producer best known for “Dawson’s Creek” and comic book TV adaptations “Arrow,” “The Flash” and “Supergirl” — directs. In a January featurette, author Ernest Cline said he never would have been able to write his bestseller without filmmaker Steven Spielberg’s influence. On March 30, READY PLAYER ONE will come full circle, with Spielberg behind the film adaptation of the worldwide phenomenon. 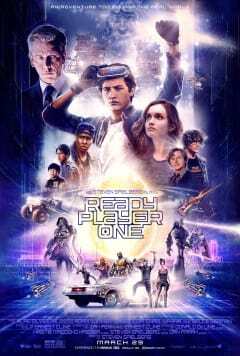 Starring Tye Sheridan, READY PLAYER ONE is set in a near-dystopian future in which people spend most of their time hooked up to the virtual reality known as OASIS. When the founder of OASIS dies, he leaves a video message challenging users to find his Easter Egg — and claim ownership of the vast virtual playground (and subsequently, his fortune). Wade Watts finds the first clue and starts the race, but close behind are players willing to kill for this ultimate prize. If Wade's going to survive, he'll have to win and confront the real world he's always been so desperate to escape. 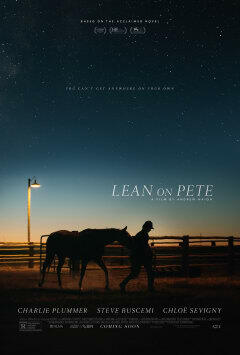 Written and directed by Andrew Haigh (45 YEARS), LEAN ON PETE is a modern-day western about a lost boy and a down-and-out racehorse. Teenager Charley Thompson finds a summer job working for a horse trainer and befriends failing competitor Lean on Pete. When the trainer decides to “retire” Pete, Charley takes the reigns and leads them on a cross-country journey in search of his long-lost aunt and a possible home. Browse showtimes for these titles and more at an AMC near you, and get your tickets today.